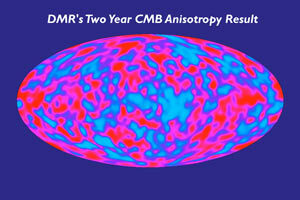 The cosmic H/He ratio and temperature of the cosmic background radiation (CBR) are supposed to match predictions of nucleosynthesis theory (NST). However, model ‘predictions’ were in fact retrodictions. With the failure of NST to account for elemental origins and abundances, theorists are in the position of a century ago, when physicists such as James Maxwell claimed that the existence of the elements points to creation. Just as naturalistic origins-theory failed to anticipate properties of cosmic elemental-matter prior to modern NST, modern NST continues to exhibit the shortcomings of naturalistic theory as a predictor of cosmic properties. A full critique of modern NST would consider (1) nucleosynthesis in the big bang; (2) nucleosynthesis in the sun; (3) nucleosynthesis in other stars; and (4) anomalous elemental abundances in stars, solar system bodies and the interstellar and intergalactic media. 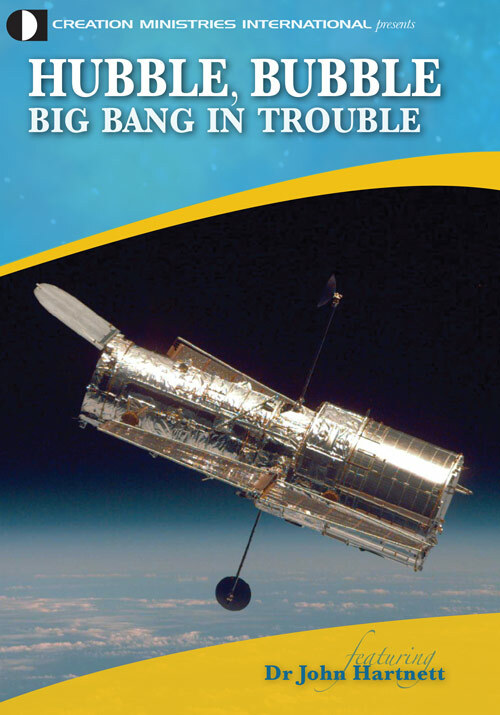 This paper focuses on the claim that big bang NST successfully predicted the cosmic H/He abundance, together with the subsidiary claims (A) that big bang theory successfully predicted the CBR temperature and (B) that the nature of the CBR confirms the big bang. Light and dark patches representing the variation of the temperature in the microwave CBR after all foreground sources have been subtracted. The different regions represent temperature differences of the order of 0.01% above or below the average sky temperature of 2.73 K (see Hartnett112). Since the rise of modern evolution in the 1800s, naturalistic theory has experienced two phases regarding the existence and abundances of elemental matter. In the first phase, the matter of the universe was believed to be exotically different and non-uniform with respect to terrestrial elements. This belief was a holdover from the teachings of antiquity prior to the acceptance of atomic theory. In this context, the discovery that atoms of a given element have identical structure and properties wherever they exist was taken to imply a common design and Designer for the universe. This design argument was widely used in the late 1800s. Most evolutionists readily accommodated to atomic theory, but this design argument illustrates the inability of naturalistic theory to predict cosmic properties before the rise of modern NST. Each of these writers is expressing what he wants to believe rather than the actual situation.3 Matter in the universe is uniform in atomic construction, but diverse in elemental abundances. This paper focuses on the success of big bang theory in explaining observed cosmic abundances of H and He. Indeed, the ancient belief was that the cosmos was made of exotic matter unlike that found on Earth. Though Galileo’s observation of sunspots and lunar craters in the 1600s gave a setback to the belief that cosmic matter was fundamentally different from terrestrial matter,10–12 this belief persisted for centuries. In the early 1800s—before evolution was widely accepted—this belief may have formed part of the basis for the widespread expectation that extraterrestrial life inhabited the sun and planets.13 If cosmic matter were truly exotic and could exist in mysterious forms capable of supporting biological systems on even the sun and on the coldest planets, then clearly life must thrive nearly everywhere. Further, this is not a trivial state of affairs, but is ‘significant’, ‘The deeply significant point is that everything, everywhere, is basically the same. … [It is] made up of the same things: mainly protons, electrons and neutrons.’17 There is ‘a marvelous unity’ implied by this observation, ‘Science has revealed a marvelous unity in the universe; … everywhere … we find the same kind of stuff: atoms, electrons, and so on.’18 Since this observation is viewed as being a ‘significant’ condition of ‘marvelous unity’, we might suspect that this is not the observation which naturalistic origins theory would have led one to expect. Indeed, it was the failure of naturalistic thought to anticipate this observation that conferred an anti-evolutionary status upon it. This uniformity is especially remarkable considering the diversity of celestial bodies constructed from these elements. Moons and planets, for example, exhibit a diversity of properties and elemental abundances which naturalistic theory cannot explain,19,20 and the sun is sufficiently different from most other stars to be considered special, if not unique.21,22 The interstellar medium and the intergalactic medium have D/H abundance ratios that do not fit into conventional NST.23,24 Indeed, God has named each star (Psalm 147:4); a fact suggesting that perhaps each one is truly unique in some way. Yet among all celestial bodies, there is a uniform plan evident in the elements employed in their creation. This universal plan was taken to point to the action of a creator, who spoke the cosmos into existence instantly rather than to a process of gradual evolution. ‘A molecule of hydrogen … whether in Sirius or in Arcturus, executes its vibrations in precisely the same time. Each molecule therefore throughout the universe bears impressed upon it the stamp of a metric system as distinctly as does the meter of the Archives at Paris. Then, speaking of the evolution of the universe in general, Iverach stated, ‘What has to be accounted for is the unity of all these elements in one [chemical] system [throughout the universe]’,28 and he clearly identified these arguments as originating with Maxwell.29 For Maxwell and for others after him, part of their pro-creation offensive was the fact that the atomic makeup of elements throughout the cosmos shows a common creation, not a random nuclear/chemical development in a naturalistic process. In contrast, physicist Ernst Mach opposed the atomic theory as it developed in the 1800s and early 1900s.30 The anti-evolutionary implications of atoms constructed on a common plan throughout the cosmos may have been responsible indirectly for Mach’s view. Mach was an evolutionist and also shared some of the beliefs of George Berkeley, a freethinker of the 1700s and one of the originators of the philosophy called ‘positivism’. Positivism asserted that only directly observable information should be considered as a legitimate part of science.31,32 Mach attempted to dissociate himself from Berkeley’s metaphysics,33 which postulated a type of impersonal ‘New Age’ force animating the universe. Nevertheless, some of Mach’s scientific ideas follow from Berkelian thought.34,35 Thus positivism sought to divorce from science any philosophical considerations, such as the creationary implications of the cosmos to which Romans 1:20 alludes. Given the philosophical (creationary) implications of atomic matter existing on a cosmic scale, together with the fact that atoms cannot be sensed directly, the logical conclusion of positivism was that atoms are not a valid scientific concept. As a positivist, Mach was forced to assert that atoms do not exist. However, with the widespread acceptance of atomic theory, investigators from the early 1900s onward sought naturalistic mechanisms by which the elements might have been produced. Modern nucleosynthesis theory was the eventual result. A significant consequence of sizing the baryon-to-photon ratio by recourse to big bang theory is that the density of the universe works out to be about two orders of magnitude less than that required for closure, i.e. long-term ‘stability’. This putative density deficiency has led to the claim that dark matter must exist to provide the closure which visible matter does not.43 Thus the belief in dark matter is at least partly due to retro-fitting big bang theory to the observed H/He cosmic abundance ratio. Along with the faulty claim that big bang NST correctly predicted the H/He abundance ratio, theorists have focused on other alleged confirmations of big bang theory, namely (1) the temperature of the CBR, and (2) the non-isotropy of the CBR. Figure 1. Eddington’s estimate of the temperature of the interstellar radiation field of 3.18 K from optical emissions does not account for the data from interstellar dust (ISD) and the CBR. Therefore, Eddington did not anticipate the CBR. (After Ned Wright in Wright81). Following up on earlier calculations of Gamow,66,72 Alpher and Herman had predicted a CBR temperature of 5 K,73 but this was revised to 50 K before the discovery of Penzias and Wilson that the CBR temperature was about 3 K.74 Indeed, published alongside the paper announcing the 3 K CBR discovery was the last minute prediction of a 40 K CBR temperature.75 Thus, at the time of Penzias’ and Wilson’s discovery, the theoretical CBR temperature was of the order of ten times too high, so it cannot be said that big bang theory made an accurate prediction. Nevertheless, Trefil claims that ‘theoretical physicists’ predicted 3 K for the CBR temperature in 1948.76 In the context of 1948, Trefil should have referred only to the prediction of the CBR’s existence,77 but he also mentioned the observed CBR temperature known only since 1965, a misleading conflation. 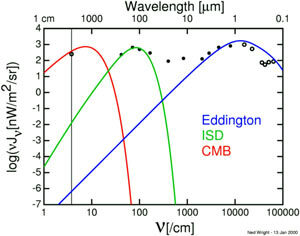 Elsewhere, Eddington predicted a background radiation temperature of 3.18 K.80 However, Eddington did not know of the microwave CBR, and the 3.18 K temperature was actually Eddington’s estimate of the temperature of optical emissions.81 In sum, neither big bang theory nor Eddington anticipated the microwave CBR temperature observed in 1965 (figure 1). However, in 1940–41, Canadian astrophysicist Andrew McKellar did in fact deduce the microwave CBR to be 2.3 K based on the behaviour of cyanide (CN) molecules in space.82 Gamow’s big bang theory was still in the future. Thus the observed CBR temperature is no confirmation of the big bang, and the CBR should not be described as the ‘glimmer’ of the big bang. If the big bang did not occur, neither did nucleosynthesis in the big bang. This means that existence of the isotopes commonly credited to big bang nucleosynthesis (e.g. H, D, 3He, 4He and 7Li) cannot be explained by the big bang. What is the creation alternative to NST? Without a big bang, the isotopes now postulated to have been synthesized in the big bang were not produced. On the other hand, Scripture read straightforwardly teaches that God relatively recently created a finished cosmos. It is possible to conclude that the ‘finished’ state of creation included to a large degree the present suite of stable isotopes, without the need for nucleosynthesis to account for them. With respect to origins, this is the creation alternative to NST. A mistaken alternative is to assume that naturalistic processes can be reconciled with fiat creation by shortening the timescale to fit within a literal Creation Week. A naturalistic process impossible over eons is less likely over days, and to say that God accomplished the naturalistic process quickly is to verge on a kind of ‘theistic naturalism’. Naturalistic origins theory, NST or otherwise, should be seen for what it is—an attempt to rob God of the glory of creating His universe by mechanisms not subject to natural law and which natural law will never explain. The uniformity of atomic structure throughout the cosmos is not what naturalistic origins theory once expected. After the general acceptance of atomic theory, naturalistic NST was again surprised by the diversity of elemental abundances throughout the cosmos. Big bang ‘predictions’ of the cosmic H/He abundance ratio and the CBR temperature were actually retrodictions, so offer no confirmation of big bang NST. CBR isotropy, though once expected by big bang theory, is now understood to render nucleosynthesis and cosmic development impossible without invoking unobservable phenomena such as dark matter. Since the CBR has generated difficulties for big bang theory, its properties cannot be cited as confirmation of the big bang. 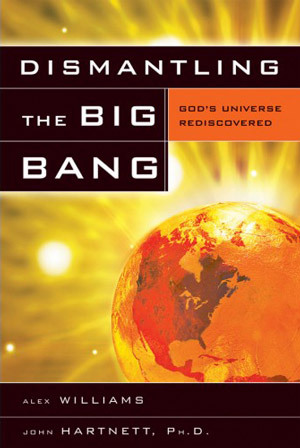 Ross claims that the CBR ‘magnificently confirms biblical cosmology’ in the sense of confirming the big bang.107 The truth is that, by exposing the big bang fallacy, the CBR affirms a non-big bang biblical cosmology. Harwit, M., Astrophysical Concepts, Springer-Verlag Inc., New York, p. 304, 1982. Return to text. Gamow, G., The Creation of the Universe, Mentor Books, New York, p. 49, 1952. Return to text. Hubbard, W., Planetary Interiors, Van Nostrand Reinhold, New York, pp. 175, 244, 272, 284, 1984. Return to text. Blake, J., Conversations on Natural Philosophy, Gould, Kendall and Lincoln, Boston, p. 89, 1837. Return to text. Humboldt, A., Cosmos 4:29–601, Henry G. Bohn, London, 1852; p. 573. Return to text. Jones, T., Conversations on Chemistry, John Grigg, Philadelphia, p. 181, 1839. Return to text. Humboldt, A., Cosmos 5:1–500, Henry G. Bohn, London, p. 4, 1858. Return to text. Humboldt, ref. 5, p. 509. Return to text. Van Flandern, T., A former asteroidal planet as the origin of comets, Icarus 36:51–74, 1978; p. 52. Return to text. Galileo, G., The Sidereal Messenger; in: Boynton, H., (Ed. ), The Beginnings of Modern Science, Walter J. Black Inc., Roslyn, NY, pp. 30–43, 1610, reprinted 1948; p. 30. Return to text. Gribbin, J., The Death of the Sun, Delacorte Press, New York, p. 117, 1988. Return to text. Snow, T., Essentials of the Dynamic Universe, West Publishing Company, St. Paul, MN, p. 32, 1984. Return to text. Blake, ref. 4, pp. 91, 96. Return to text. Weiner, J., Planet Earth, Bantam Books, New York, p. 217, 1986. Return to text. Barrow, J. and Tipler, F., The Anthropic Cosmological Principle, Oxford University Press, New York, p. 327, 1986. Return to text. Abell, G., Morrison, D. and Wolff, S., Exploration of the Universe, Saunders, Philadelphia, p. 1, 1987. Return to text. Abell et al., ref. 16, p. 2. Return to text. Abell et al., ref. 16, p. 10. Return to text. Henry, J., The energy balance of Uranus: implications for special creation, Journal of Creation 15(3):85–91, 2001; p. 85. Return to text. Hubbard, ref. 3, p. 177. Return to text. Henry, J., The sun is not an average star, Journal of Creation 17(3):35–42, 2003; p. 35. Return to text. Henry, J., Heliosiesmology: implications for the standard solar model, CRSQ 40(1):34–40, 2003; p. 36. Return to text. Shull, J., Intergalactic pollution, Nature 394:17–18, 1998; p. 17. Return to text. Campbell, L. and Garnett, W., The Life of James Clerk Maxwell, MacMillan & Co., London, p. 359, 1882. Return to text. Maxwell, J., Atom; in: Encyclopedia Britannica 3:36–49, 1878; p. 49. Return to text. Iverach, J., Christianity and Evolution, Thomas Whittaker, New York, pp. 24–25, 1894. Return to text. Iverach, ref. 27, p. 43. Return to text. Iverach, ref. 27, pp. 14, 34, 41. Return to text. Menger, K., Introduction to the sixth American edition of The Science of Mechanics by Ernst Mach; in: Mach, ref. 33, pp. xiv, xv, 1960. Return to text. Ferris, T., The Red Limit, Quill, New York, p. 66, 1983. Return to text. Menger, ref. 30, p. xii. Return to text. Mach, E., The Science of Mechanics, Open Court, La Salle, IL, p. 609, 1893, reprinted 1960. Return to text. Menger, ref. 30, p. xiii. Return to text. Popper, K., A note on Berkeley as a precursor of Mach, British J. Philosophy of Science 4:26–36, 1953; p. 26. Return to text. Curie, E., Madame Curie, Doubleday, Doran and Company, New York, pp. 153, 155, 1938. Return to text. Darwin, G., Radioactivity and the age of the sun, Nature 68:496, 1903. Return to text. 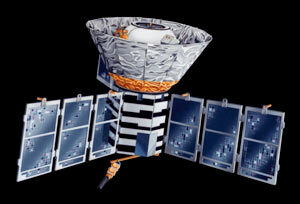 Henry, J., The evolutionary basis for Eddington’s solar modelling, CRSQ 40(4):245–256, 2004. Return to text. Henry, J., An old age for the earth is the heart of evolution, CRSQ 40(3):164–172, 2003; pp. 165–166. Return to text. Kragh, H., The construction of cosmology as a physical science, Fifth Biennial History of Astronomy Workshop, Notre Dame University, p. 2, <www.hd.edu/~histast4/exhibits /papers/kragh.html>, 5–8 July 2001. Return to text. Bethe, H., Energy production in stars, Physical Review 55:434–456, 1939; p. 434. Return to text. Bethe, H., Recent evidence on the nuclear reactions in the carbon cycle, Astrophys. J. 92:118–121, 1940; p. 118. Return to text. Burbidge, G., Hoyle, F. and Narlikar, J., A different approach to cosmology, Physics Today 52:38–44, 1999; p. 38. Return to text. Seuss, H. and Urey, H., Abundances of the elements, Reviews of Modern Physics 28:53–74, 1956; p. 53. Return to text. Alpher, R. and Herman, R., Theory of the origin and relative abundance distribution of the elements, Reviews of Modern Physics 21:153–212, 1950; p. 179. Return to text. Alpher, R. and Herman, R., On the relative abundance of the elements, Physical Review 74:1737–1742, 1948; pp. 1737–1738. Return to text. Alpher, R., Bethe, H. and Gamow, G., The origin of chemical elements, Physical Review 73:803–804, 1948; p. 803. [Alpher was a Ph.D. student studying under Gamov, who added the name of his friend Bethe to make a play on the similarity of their names to the first three letters of the Greek alphabet. Thus the paper is not called the ‘alphabetica article’ or the ‘&aplha;βγ paper’.] Return to text. Alpher, R., Herman, R. and Gamow, G., Thermonuclear reactions in the expanding universe, Physical Review 74:1198–1199, 1948; p. 1198. Return to text. Albrecht, A., Reply to ‘A different approach to cosmology’, Physics Today 52:44–46, 1999; p.44. Return to text. Turner, M. and Tyson, J., Cosmology at the millennium, Reviews of Modern Physics 71:S145–S164, 1999; p. S145. Return to text. Burbidge, G. and Hoyle, F., The origin of helium and the other light elements, Astrophys. J. 509:L1–L3, 1998; p. L1. Return to text. Burbidge, E., Burbidge, G., Fowler, W. and Hoyle, F., Synthesis of elements in stars, Reviews of Modern Physics 29:547–650, 1957; p. 550. Return to text. Albrecht, ref. 49, p. 44. Return to text. Burles, S., Nollett, K., Truran, J. and Turner, M., Sharpening the predictions of big-bang nucleosynthesis, Phys. Rev. Lett. 82:4176–4179, 1999; p. 4176. Return to text. Gulkis, S., Lubin, P., Meyer, S. and Silverberg, R., The Cosmic Background Explorer, Scientific American 262(1):132–139, 1990; p. 132. Return to text. Lerner, E., Plasma model of microwave background and primordial elements: an alternative to the big bang, Laser and Particle Beams, 6:457–469, 1988; p. 457. Return to text. Lerner, E., Galactic model of element formation, IEEE Transactions on Plasma Science 17:259–263, 1989; p. 259. Return to text. Mitchell, W., Big bang theory under fire, Physics Essays 10:370–379, 1997, p. 374. Return to text. Alpher et al., ref. 47, pp. 803–804. Return to text. Hawking, S., A Brief History of Time, Bantam Books, New York, 1988, p. 118. Return to text. Barrow and Tipler, ref. 15, p. 369. Return to text. Wagoner, R., Fowler, W. and Hoyle, F., On the synthesis of elements at very high temperatures, Astrophys. J. 148:3–49, 1967; p. 3. Return to text. White, S., Navarro, J., Evrard, A. and Frenk, C., The baryon content of galaxy clusters: a challenge to cosmological orthodoxy, Nature 366:429–433, 1993; p. 429. Return to text. Arp, H., Burbidge, G., Hoyle, F., Narlikar, J. and Wickramasinghe, N., The extragalactic universe: an alternative view, Nature 346:807–812, 1990; p. 811. Return to text. Barrow and Tipler, ref. 15, p. 368. Return to text. Lerner, ref. 56, p. 457. Return to text. Lerner, ref. 57, p. 259. Return to text. Sweitzer, J., Do you believe in the big bang? Astronomy 30(12):34–39, 2002; p. 38. Return to text. Gamow, ref. 2, pp. 48, 139–140. Return to text. Gamow, G., Expanding universe and the origin of elements, Physical Review 70:572–573, 1946; p. 573. Return to text. Alpher, R. and Herman, R., Evolution of the universe, Nature 162:774–775, 1948; p. 775. Return to text. Penzias, A. and Wilson, R., A measurement of excess antenna temperature at 4080 Mc/s, Astrophys. J. 142:419–421, 1965; p. 420. Return to text. Dicke, R., Peebles, P., Roll P. and Wilkinson, D., Cosmic black-body radiation, Astrophys. J. 142:414–419, 1965; p. 415. Return to text. Trefil, J., The Moment of Creation, Scribner’s, New York, p. 14, 1983. Return to text. Gamow, ref. 2, p. 68. Return to text. Byl, J., God and Cosmos, Banner of Truth Trust, Carlisle, PA, p. 58, 2001. Return to text. Eddington, A., New Pathways in Science, University of Michigan, Ann Arbor, p. 198, 1935, reprinted 1959. Return to text. Eddington, A., The Internal Constitution of the Stars, Dover Publications, New York, p. 371, 1926, reprinted 1959. Return to text. Wright, E., Eddington’s temperature of space, <www.astro.ucla.edu/~wright/Eddington-T0.html>, 2000. Return to text. McKellar, A., Proc. Ast. Soc. Pac. 52:187, 1940; Publ. Dominion Astrophysical Observatory Victoria B.C. 7(15):251, 1941; cited in Sarfati, J., Refuting Compromise, Master Books, Green Forest, AR, p. 155, 2004. Return to text. Barrow and Tipler, ref. 15, pp. 372, 378, 415. Return to text. Fix, J., Astronomy, WCB/McGraw-Hill, Boston, p. 616, 1999. Return to text. Alpher, R. and Herman, R., Genesis of the Big Bang, Oxford University Press, New York, pp. 132–133, 2001. Return to text. Fix, ref. 84, p. 617. Return to text. Fix, ref. 84, p. 615. Return to text. Burbidge, G., Why only one big bang? Scientific American 266(2):120, 1992. Return to text. Fix, ref. 84, p. 618. Return to text. Earman, J. and Mosterin, J., A critical look at inflationary cosmology, Philosophy of Science 66:1–49, 1999; p. 1. Return to text. Penrose, R., Difficulties with inflationary cosmology, Annals of the New York Academy of Science 571:249–264, 1989; p. 249. Return to text. Ferris, ref. 31, p. 232. Return to text. Lerner, E., The Big Bang Never Happened, Times Books, New York, p. 8, 1990. Return to text. Powell, C., The golden age of cosmology, Scientific American 267(7):17–22, 1992; p. 18. Return to text. Hawking, ref. 58, p. 41. Return to text. Powell, ref. 94, p. 19. Return to text. Riordan, M. and Schramm, D., The Shadows of Creation, WHFreeman and Company, New York, p. 131, 1991. Return to text. Riordan and Schramm, ref. 97, p. 124. Return to text. Rowan-Robinson, M., Dark doubts for cosmology, New Scientist 129(1759):30–34, 1991; p. 30. Return to text. Travis, J., Cosmic structures fill southern sky, Science 263:1684, 1994. Return to text. Sandage, A., Observational tests of world models, Annual Review of Astronomy and Astrophysics 26:561–630, 1988; p. 623. Return to text. Moore, B., Evidence against dissipationless dark matter from observations of galaxy haloes, Nature 370:629–631, 1994; p. 629. Return to text. McGaugh, S., Boomerang data suggest a purely baryonic universe, Astrophysical Journal 541:L33–L36, 2000; p. L33. Return to text. McGaugh, S., Confrontation of Modified Newtonian Dynamics predictions with Wilkinson Microwave Anisotropy Probe first year data, Astrophysical Journal 611:26–39, 2004; p. 26. Return to text. Burns, J., Very large structures in the universe, Scientific American 255(1):38–47, 1986; p. 45. Return to text. Oldershaw, R., What’s wrong with the new physics? New Scientist 127(1748):56–59, 1990; p. 59. Return to text. Ross, H., A Matter of Days, NavPress, Colorado Springs, 2004, p. 16. Return to text. Heller, L., Theories of element synthesis and the abundance of deuterium, Astrophys. J. 126:341–356, 1957; p. 341. Return to text. Clark, D. and Caswell, J., A study of galactic supernova remnants, based on Molonglo-Parkes observational data, M.N.R.A.S. 174:267–305, 1976; pp. 301, 302. Return to text. Fowler, W., The quest for the origin of the elements, Science 226:922–935, 1984; p. 934. Return to text. Humboldt, ref. 5, p. 560. Return to text. Hartnett, J.G., Recent Cosmic Microwave Background Data supports creationist cosmologies, Journal of Creation 15(1):8–12, 2001. Return to text.